I recently learned something of the utmost importance about stories from a world-class magician. On a trip into the city, I popped on a podcast to amuse me on the drive. This American Life is on high rotation on my iPhone and I was excited to see there was an episode called ‘The Magic Show’. I’ve been a fan of magic since primary school. As a kid, my most exotic friend was Ben. He could speak French, had an amazing Mad magazine collection, and he was also a magician. During his many bedroom performances for friends, we’d watch him do card tricks and link and unlink steel rings, and never once did he reveal his secrets. It drove me bonkers, but I was hooked. 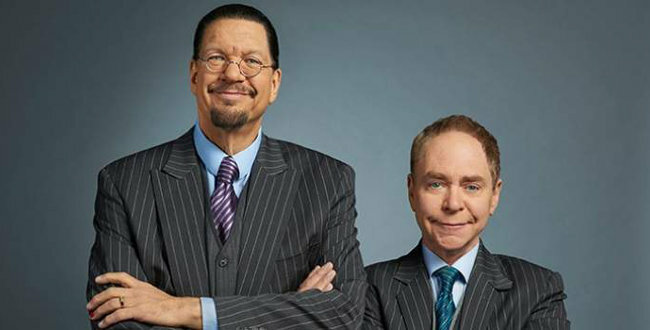 Ira Glass, the host of the podcast, interviewed Teller of Penn & Teller fame, the Las Vegas magicians who have had a working partnership for over 40 years. Interestingly, they don’t hang out together much outside of the show because they don’t share many off-stage interests. Teller, by the way, is the little guy who is silent in the act. If you put, let’s say, a coin into your hand, close your hand, snap your fingers, open it, and the coin is gone, there’s not much of an impact to that. And the reason for that is that the action seems arbitrary, that there doesn’t seem to be a cause that makes that event happen. If you put the same coin in your hand, close your hand, and even just, say, take out a match, light the match, pass it around your hand, and act with a sudden jolt, as though something has happened inside your hand where the coin melted away, and you’ve been burnt, and you open your hand and there’s no coin now, that level of acting, that level of causality that suggests that somehow the fire of a match could make a coin melt away, suddenly adds a dimension to it that I think is pretty crucial. It gives it a little bit of a story. It gives it emotion. Teller makes two crucial points. First, by making clear the events that cause the coin to disappear, you get the audience more engaged in what is happening. Second, you don’t have to create much causality for the vanishing coin to be far more interesting. Now you might be thinking, yes Shawn, but this is all just made up. It’s a trick. And I grant you that. But the same is true with things that happen in businesses. We often fall into the trap of making the coin disappear without showing what made this happen – we describe a new decision without explaining what triggered it. And the end result is an audience that is confused about and unengaged with the news we are trying to communicate. In Anecdote’s story-spotting framework, connected events that infer causality are central to the model. Quite frankly, this is central to storytelling. It’s central to what people find interesting because it helps explain why something happens, and we all want to understand cause and effect. The same is true for your company. When something happens, everyone wants to know why. When a decision is made, especially a controversial one, we want to know why. When there’s an unexpected win or loss, we want to know why. When someone is promoted or let go, we want to know why. By understanding the cause, we can start to predict what might happen next, which we all know is vital intelligence. Stories explain why. And you don’t need a fancy Hollywood-style story to describe what’s going on. You just need to communicate your story using a narrative structure. When something changes, use this story pattern to explain what’s happening. Share what triggered the change. Even if it’s bad news, people will be more accepting and more engaged when they know why.